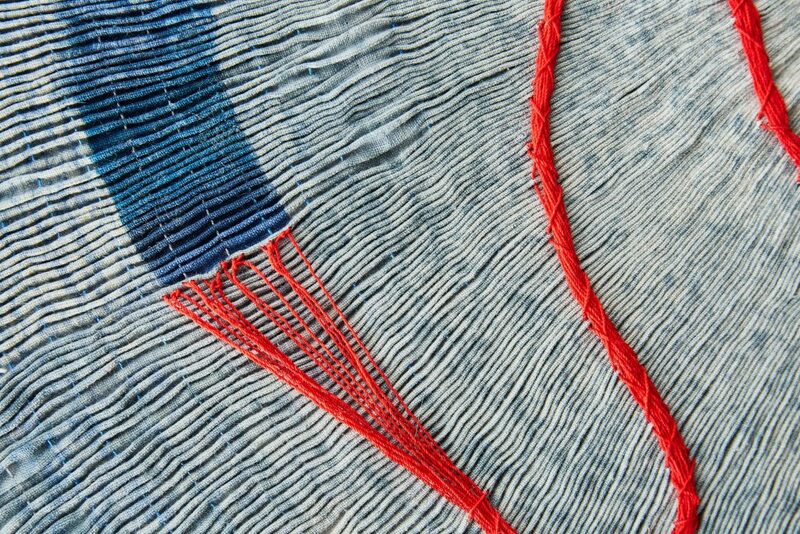 Across the pond, Ctrl/Shift: New Directions in Textile Art is currently on show at the National Centre for Craft & Design. 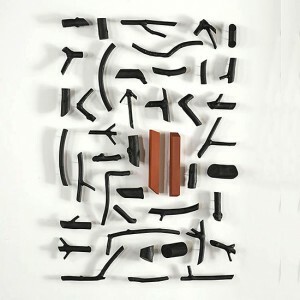 Ctrl/Shift, which features work by browngrotta arts artist Caroline Bartlett, presents a wide variety of pieces which present how artists transform their pieces through their creative processes. Focusing on shifts, changes and adaptability, the exhibition highlights the impact of innovative contemporary themes, ideas and technologies on textile art. Click HERE for more information. 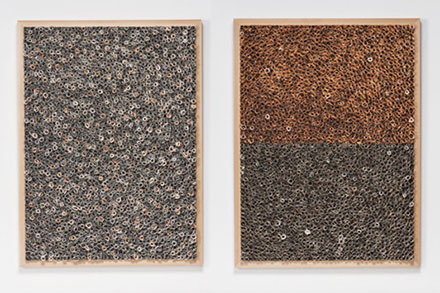 El Anatsui’s work is on view at October Gallery in London through the end of April. 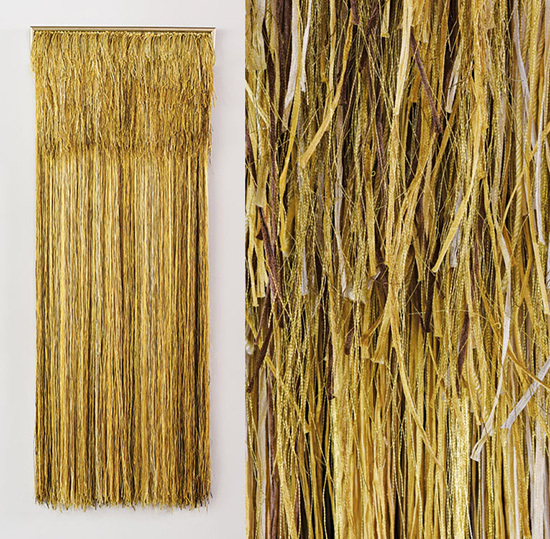 The exhibition, El Anatsui: Material Wonder, coincides with the largest retrospective of Anatsui’s work, El Anatsui: Triumphant Scale, at Haus der Kunst, Munich. 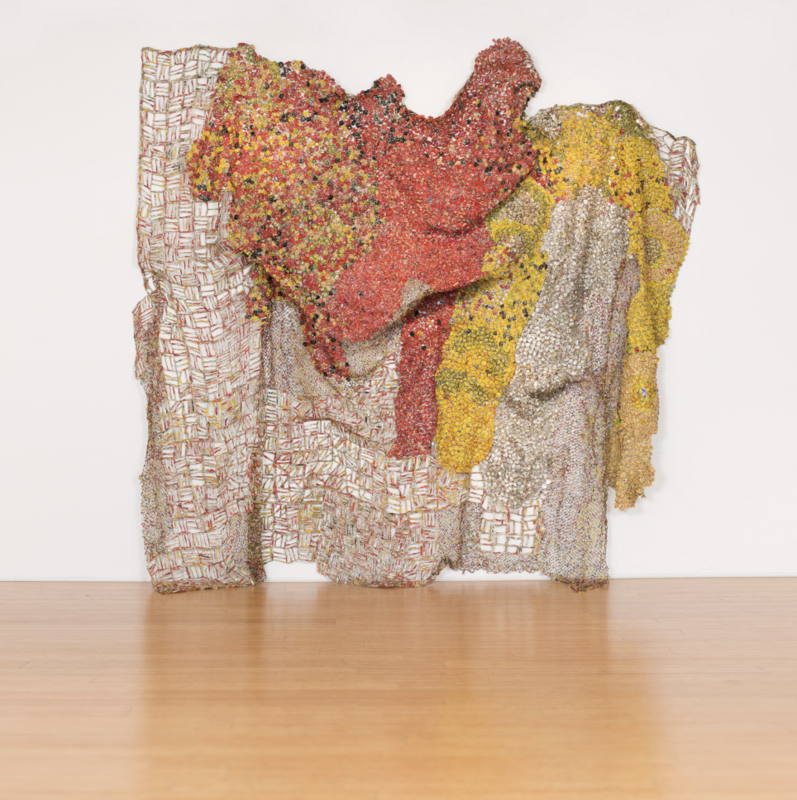 Throughout his influential career, Anatsui has experimented with a variety of mediums, including cement, ceramics, tropical hardwood corrugated iron, and bottle-top, to name a few. 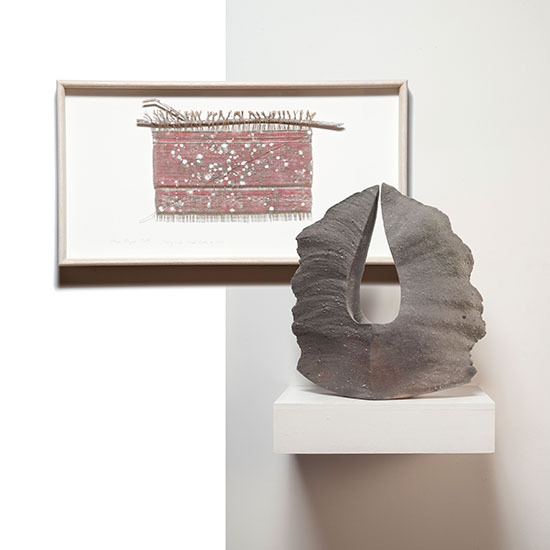 October Gallery’s exhibition includes a variety of metal wall sculptures accompanied by a series of prints made in collaboration with Factum Arte. Want to see these one-of-a-kind pieces? 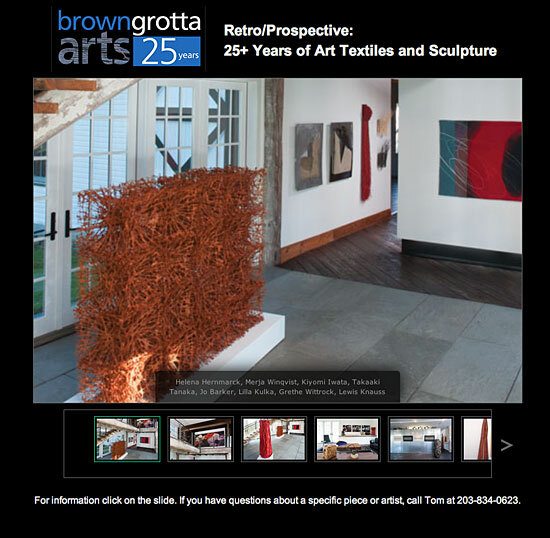 Head over to October Gallery’s website HERE for visiting information. 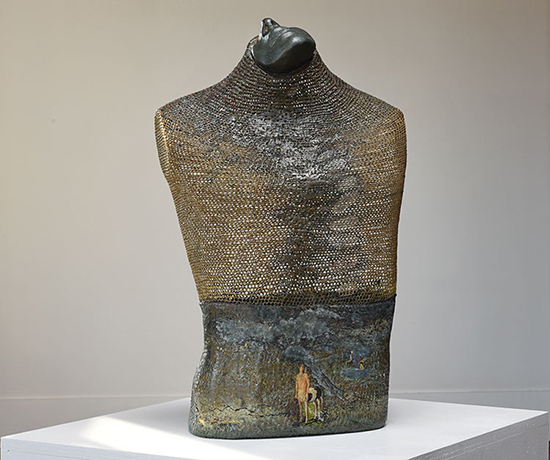 Rehearsal, El Anatsui, Aluminum and copper wire, 406 x 465 cm, 2015. Photo Jonathan Greet/October Gallery. 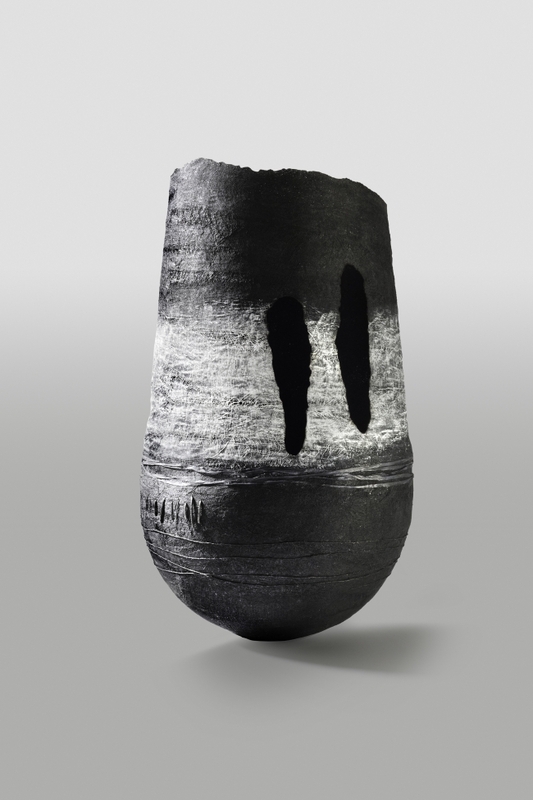 A Considered Place, an upcoming exhibition at Drum Castle in Drumoak, Scotland, will share the work of browngrotta arts artists Jo Barker and Sara Brennan, along with Susan Mowatt, Andrea Walsh and Jane Bustin. The exhibition’s location, Drum Castle, is encircled by late 18th rose gardens and trees from all regions of the 18th century British Empire. Make a day of the outing, starting with a stroll through A Considered Place concluded by a relaxing afternoon wandering around the estate’s grounds. Curious about Drum Castle or A Considered Place, click HERE for more information. 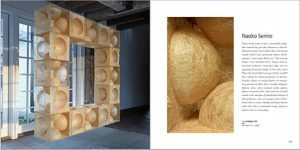 In Paris, Jiro Yonezawa is among artists featured in Fendre L’air, an elegant exhibition of bamboo basketry at the Musée du Quai Branly Jacques Chirac. 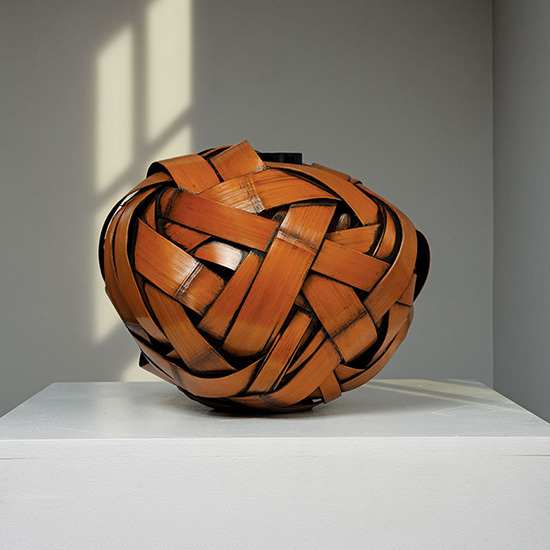 Fendre L’air is the first French exhibition to pay homage to the exquisite craft and creativity of Japanese basket makers. 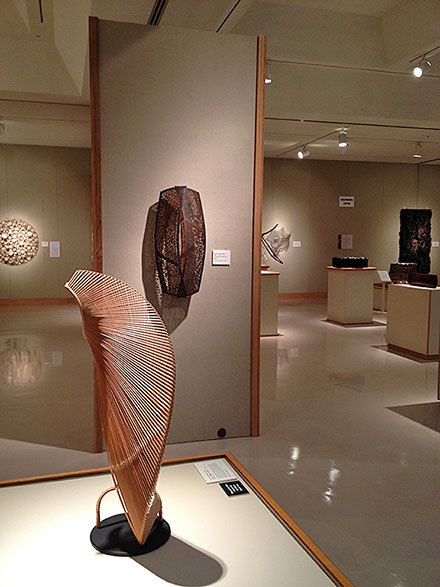 Composed of 160 works, the exhibition delves into the art and history of Japanese basketry. 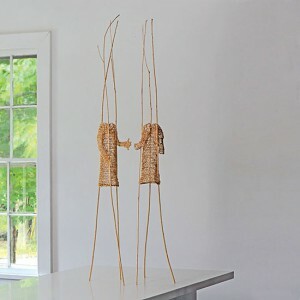 Japanese basketry, which we have discussed in length across many blog posts, grew in popularity during the Meiji era as the revival of a certain type of tea ceremony in which bamboo baskets and containers were used for flower arrangments. 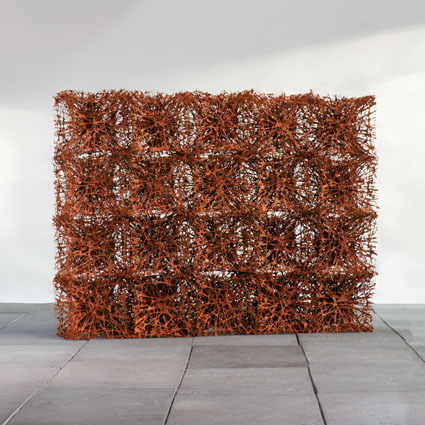 As creativity has flourished, baskets have become less utilitarian and more decorative. 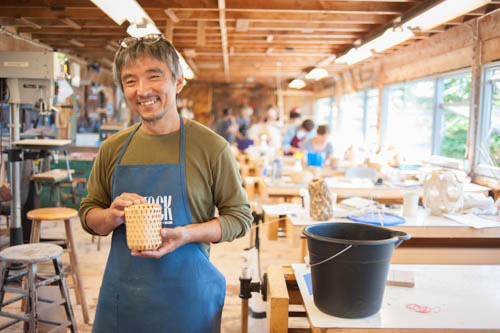 Today, the work of many Japanese basket makers is so impactful, that the artists themselves have become living national treasures. Click HERE or more information on Fendre L’air. If you happen to be in the Netherlands in upcoming months make sure to check out Cultural Threads at the Textiel Museum in Tilburg. Featuring work by Eylem Aladogan, Célio Braga, Hana Miletić, Otobong Nkanga, Mary Sibande, Fiona Tan, Jennifer Tee, Aiko Tezuka and Vincent Vulsma, the exhibition focuses on textiles as a tool for socio-political reflection. 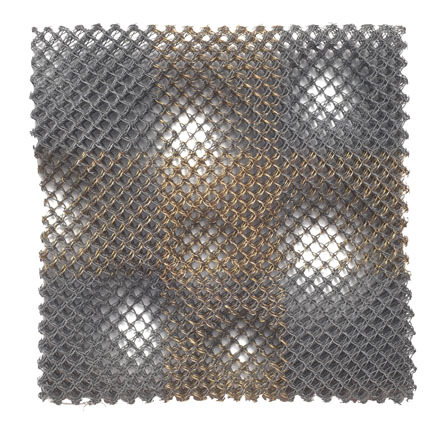 “We live in a world where boundaries between countries and people are becoming increasingly blurred, power relations are shifting radically and cultures are mixing,” states the Textiel Museum. 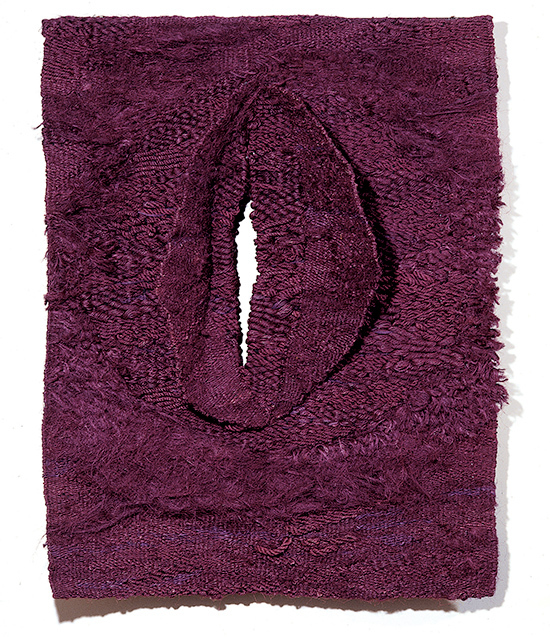 As a medium, the unique qualities of textiles provide artists with a plethora of ways to communicate and explore identity in a globalizing world. Find more information on the Cultural Threads HERE. 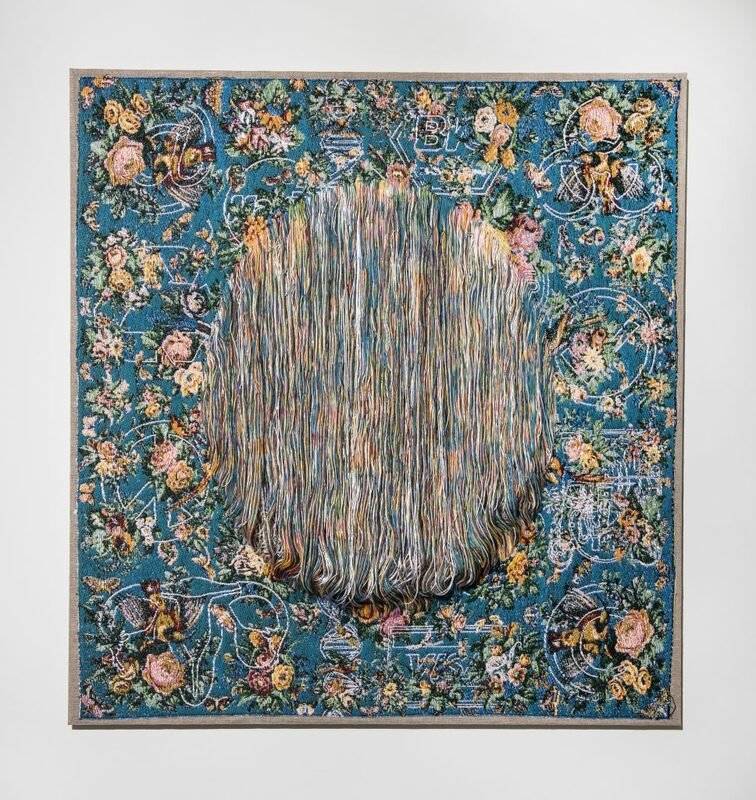 Gudrun Pagter’s work in Artapestry V is making its final appearance in Romania at the Arad Art Museum as the traveling international exhibition comes to a close. The exhibition, which has traveled across Europe, stopping in Denmark, Sweden and Lativa, features the work of artists from 12 European countries. 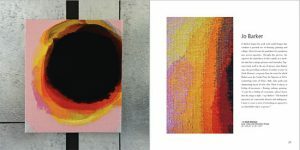 Presented by the European Tapestry forum, Artapestry V aims to raise the profile of tapestry as an art form and conjure artistic interest in the medium. Find more information on the European Tapestry Forum’s website HERE. 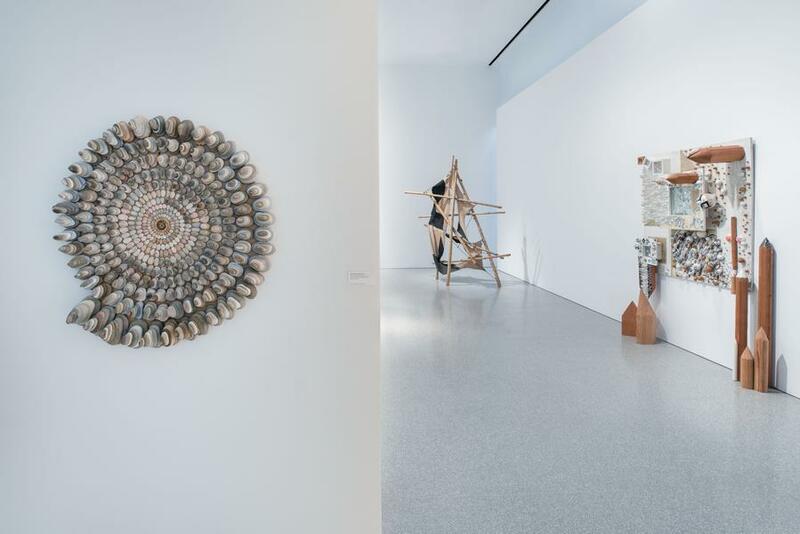 The current Michael Rosenfeld Gallery exhibition, The art of Defiance: Radical Materials, examines how artists such as Barbara Chase-Riboud, Betye Saar, Hannelore Baron, Nancy Grossman have utilized unique, groundbreaking materials in their work. 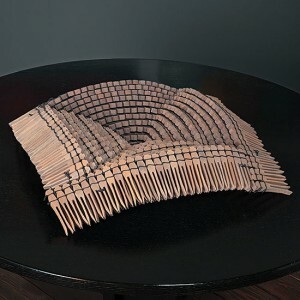 For the exhibition, each artist utilized materials defined by their physicality, “representing a freedom from the constraints of traditional, male-dominated media in art history.” Each artists’ work blurred the traditional boundaries between two and three-dimensional design, which in turn has expanded the traditional categorical defines of art-making. 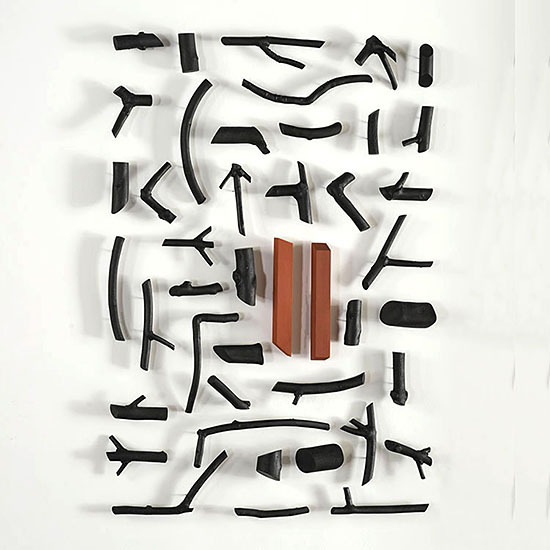 In New York and want to check out the exhibition, visit the Michael Rosenfeld Gallery website HERE. Traveling to the West Coast in the next week? Don’t miss out on a chance to see Michael F. Rohde’s solo exhibition, The Empathy of Patience at the San Luis Obispo Museum of Art. 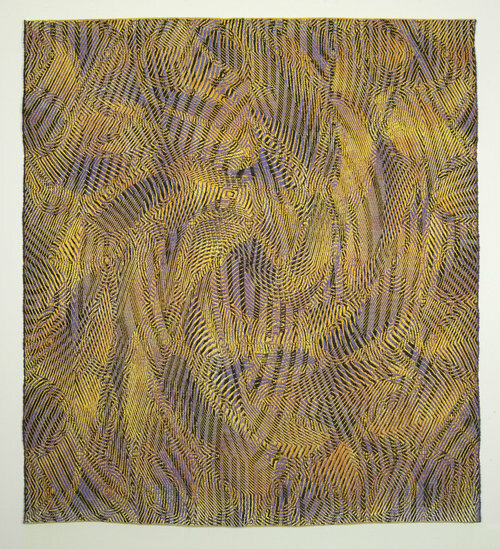 The exhibition is a superb display of Rohdes’ subliminal texture and masterful interaction of light and color. 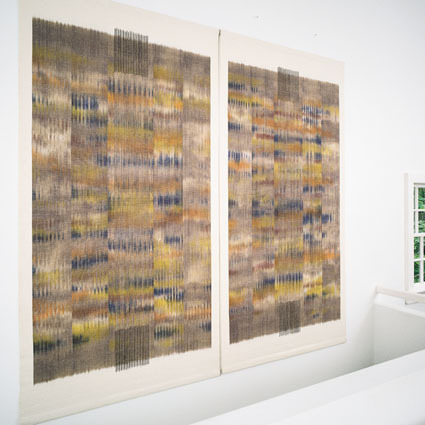 For Rohdes, “the medium of handwoven tapestry certainly requires patience for execution…empathy, compassion and concern for others is at the base of many of these weavings.” Click HERE for more information on The Empathy of Patience at the San Luis Obispo Museum of Art. 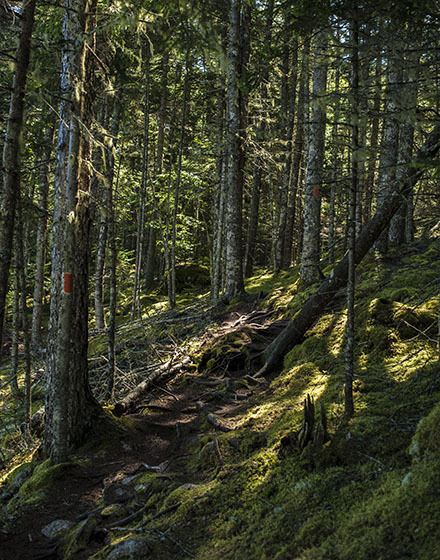 In honor of National Trails Day, http://www.nationaltrailsday.org on June 6th we’re publishing — belatedly — this post about visiting Jiro Yonezawa last summer at Haystack in Deer Isle, Maine, which features miles of beach and wooded hiking trails. Last month, Jiro received a Special Prize at the Japan Contemporary Craft Exhibition held at the National New Art Museum in Tokyo. Jiro’s was the only work of bamboo to be awarded a prize. Bamboo Weaving Techniques and Decoration class was kind enough to let us interrupt. The students were excited and engaged and grateful for Jiro’s generous teaching. One described his helping her until 1 a.m. that morning. Each student had interesting and accomplished works to show for his or her time there. Carter is now angling to attend a session. Other art-y activities we enjoyed on our trip: the terrific Turtle Gallery in Deer Isle http://www.turtlegallery.com; the sprawling sculpture center created by Peter Beerits at Nervous Nellie’s Jams and Jellies in Deer Isle http://www.nervousnellies.com/peter-beerits-sculpture/ and the creatively curated collection of buoys and locks and knots and ropes at the Marlinspike Chandlery in Stonington http://www.marlinespike.com/. The locale offers art appreciation, hiking, kayaking, great eating, and, as always, a great time was had by all. Coast-to-coast cultural opportunities to enjoy in August and through to November. Artist Reception: Friday, August 29, 6–8:30 p.m. 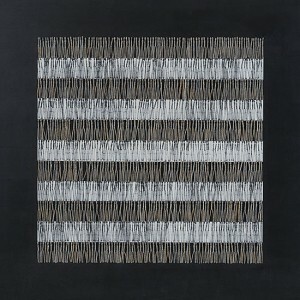 Textile artist Adela Akers has moved her studio to the de Young for a month. Visitors to the new studio will learn how each choice in her art-making process contributes to the unique character and quality of her work. 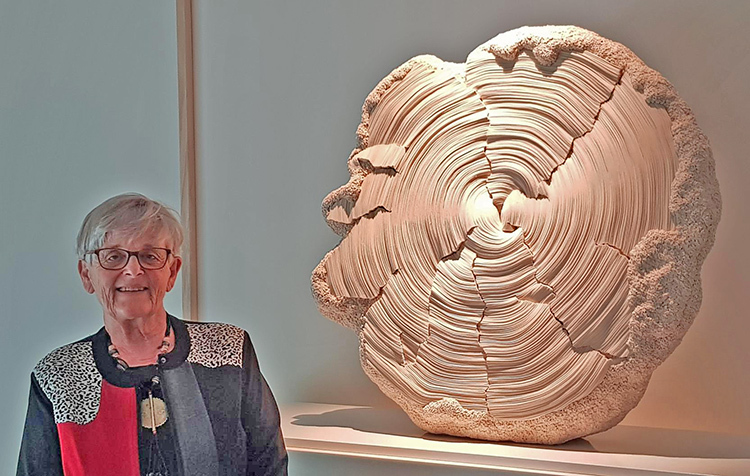 Throughout her residency, Akers will invite visitors to engage in hands-on activities that explore her creative process—from inspiration and research to preparation of the materials she has selected to convey her concept to creation and final presentation of the finished artworks. 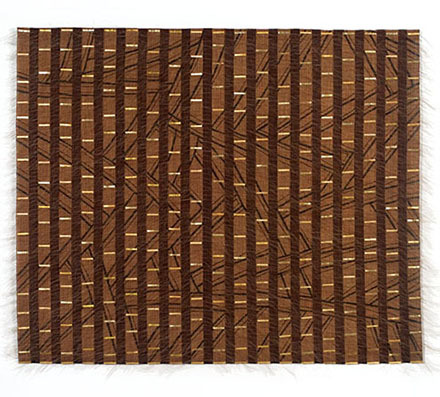 Akers’s work has been influenced and informed by pre-Columbian textiles and, most recently, paintings by women of the Mbuti people of the Ituri Forest in the Democratic Republic of the Congo. Journeying from one point to another has been a physical and transformative reality in her life, increasing her self-confidence and expanding her vision of the world. 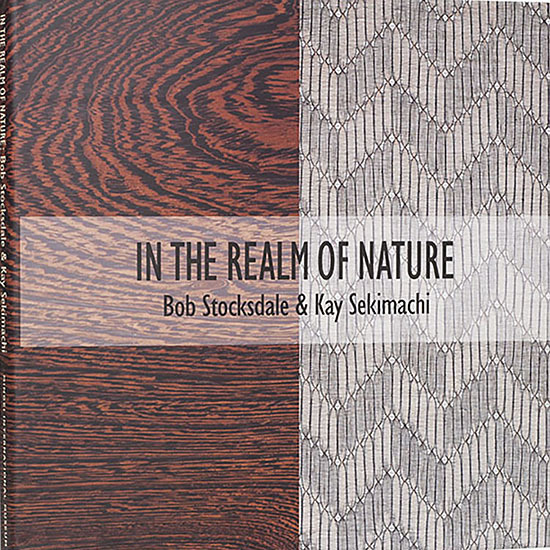 Akers feels fortunate to have made these geographical voyages and to have experienced country living’s broad horizons and quiet strength, the power of nature and the palpitating rhythm of cities. 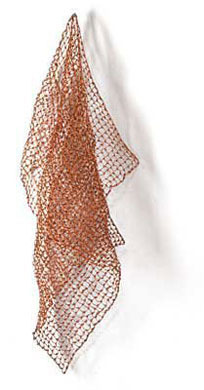 “Game changers” are artists, past and present, who continuously revisit traditional techniques and materials while developing revolutionary approaches in the realm of fiber art. Every work in the exhibition was chosen to showcase the individual practice of each invited artist. 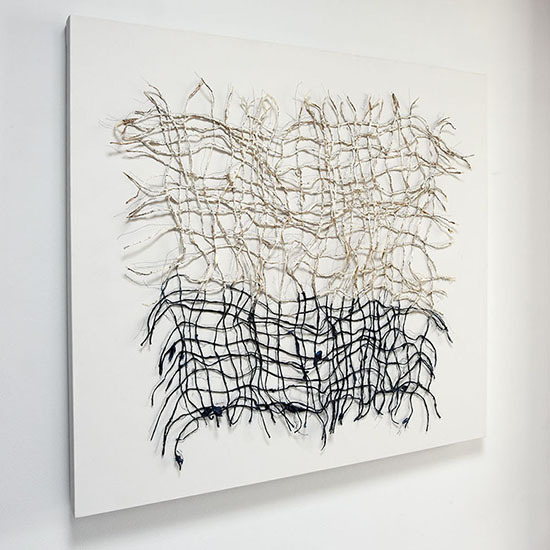 These creators epitomize the dynamism and fluidity of work in fiber. 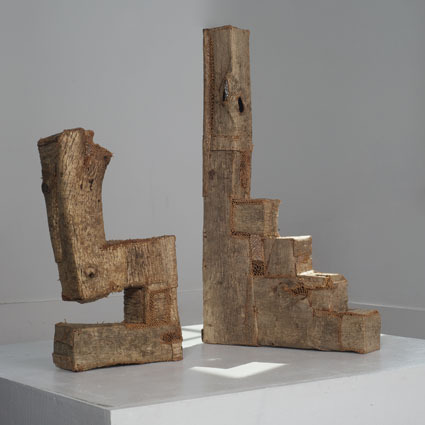 Artists featured in the exhibition include: Olga de Amaral, Dorothy Gill Barnes, Mary Bero, Nancy Moore Bess, Archie Brennan, John Cardin, Lia Cook, John Garrett, Jan Hopkins, Mary Lee Hu, Lissa Hunter, Diane Itter, Michael James, Naomi Kobayashi, Nancy Koenigsberg, Gyongy Laky, Chunghie Lee, Kari Lonning, Susan Martin Maffei, John McQueen, Norma Minkowitz, Michael F. Rohde, Ed Rossbach and Kay Sekimachi. 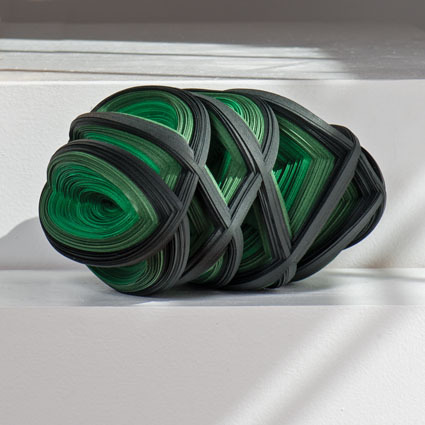 The works by eight artists featured in Forming: The Synergy Between Basketry and Sculpture, including Jennifer Falck Linssen, were designed and executed as alternative approaches to sculptural form, in which the line dissolves between traditional basketry and contemporary sculpture. 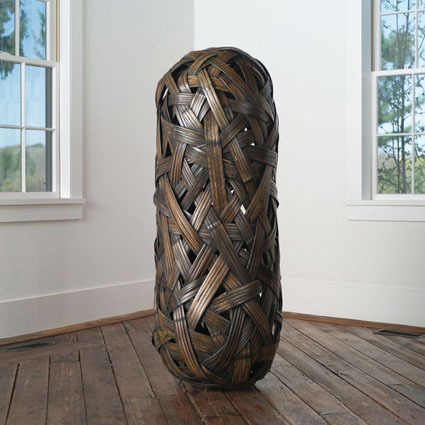 A selection of artists from across America inquisitively open our eyes to new alternatives in basketry and fiber-based sculptural form. The craftsmanship is superb, the creative and technical finesse is complex while the vision is beyond today yet with inspiration from long-revered fiber traditions. Bamboo is a quintessential part of Japanese culture, shaping the country’s social, artistic, and spiritual landscape. 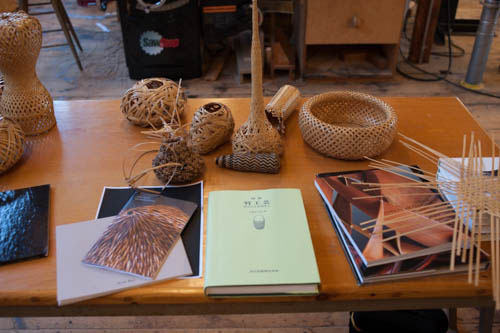 Although bamboo is a prolific natural resource, it is a challenging artistic medium. 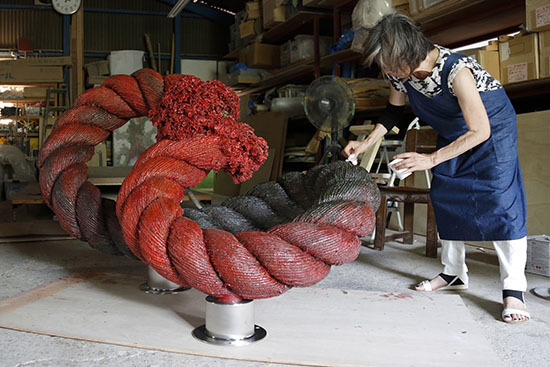 There are fewer than 100 professional bamboo artists in Japan today. 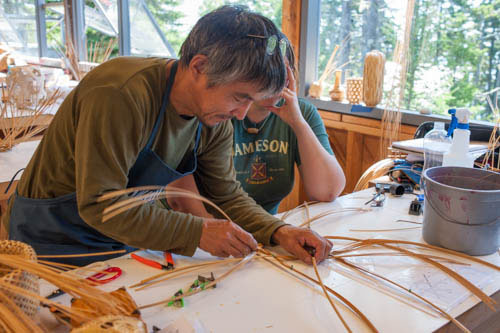 Mastering the art form requires decades of meticulous practice while learning how to harvest, split, and plait the bamboo. 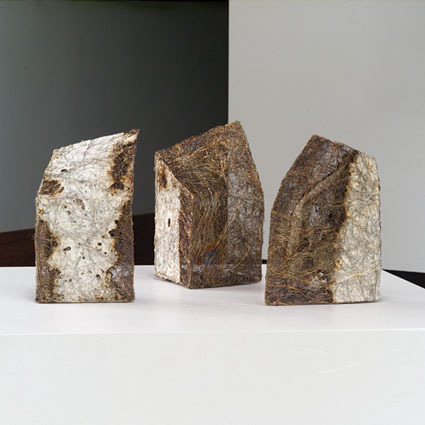 Modern Twist brings 38 exceptional works by 17 artists, including Jiro Yonezawa, to U.S. audiences, celebrating the artists who have helped to redefine a traditional craft as a modern genre, inventing unexpected new forms and pushing the medium to groundbreaking levels of conceptual, technical, and artistic ingenuity. 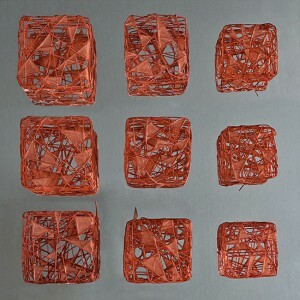 Paper art is emerging as a global phenomenon. 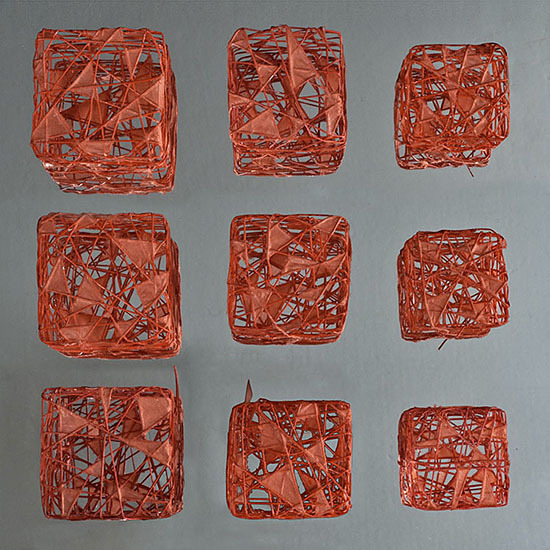 PAPER-MADE explores paper’s transformation from an everyday object into an exquisite three dimensional sculptural artwork. 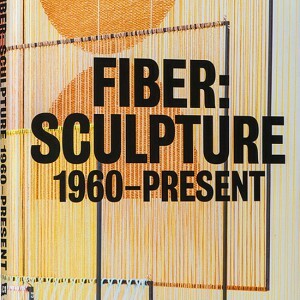 The exhibit’s title PAPER-MADE is a reference to Marcel Duchamp’s concept of the “ready-made,” since paper is an everyday object. 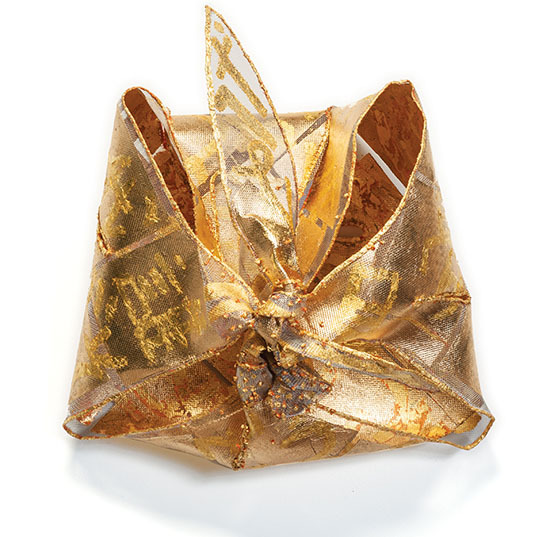 The alchemic transformation from simple paper to art highlights the artist’s creativity and demonstrates the limitless potential of the art form. 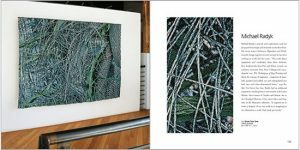 Eighteen showcased artists, including Wendy Wahl, explore this material’s ephemeral nature and beauty. 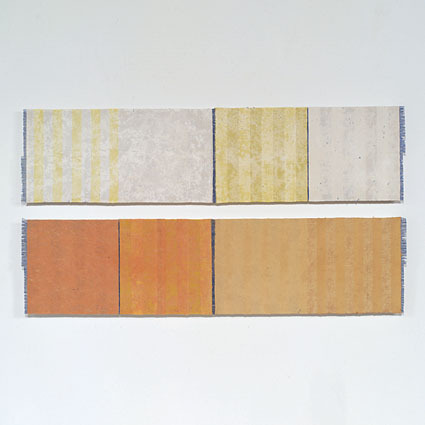 Each artist explores different qualities of paper, from hand-made paper and paper string, to site-specific installation made of book pages, from Korean joomchi paper to found lottery tickets and archival photographs. Among the museum offerings in Asia Week New York 2013 is the Guggenheim’s No Country: Contemporary Art for South and Southeast Asia, through May 22nd.The first exhibition in the Guggenheim UBS MAP Global Art Initiative features work by 22 artists and collectives representing some of the most compelling and innovative voices in South and Southeast Asia today. No Country: Contemporary Art for South and Southeast Asia revokes national borders as limits to understanding, revealing in their place networks of influence and resistance. It will be followed by art from Latin America and the Middle East. At the Solomon R. Guggenheim Museum, 1071 5th Avenue (at 89th Street), New York, New York. 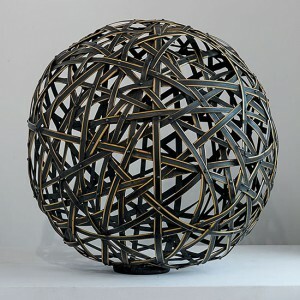 And, as our last tribute to Asia Week, the work of eight more artists from Japan — basketmakers, weavers and a ceramist.